Please note that our AGM this year will be held on Tuesday, 12 November at 7.30 in the Watney Room at Emmanuel Church. Please put this date in your diary. We will keep you up-to-date with our speaker. Our AGM last year was held on Tuesday 13 November 2018. Our speakers were from the ARC Centre in Selsdon. Animal welfare, education and respect for their animals are their core values and it was a most interesting presentation. In 2014 the AGM was held on Wednesday 12 November at 7.30 pm at Emmanuel Church Hall. The first item on the agenda was the presentation of the Queen’s Award for Voluntary Service by a representative of Her Majesty. 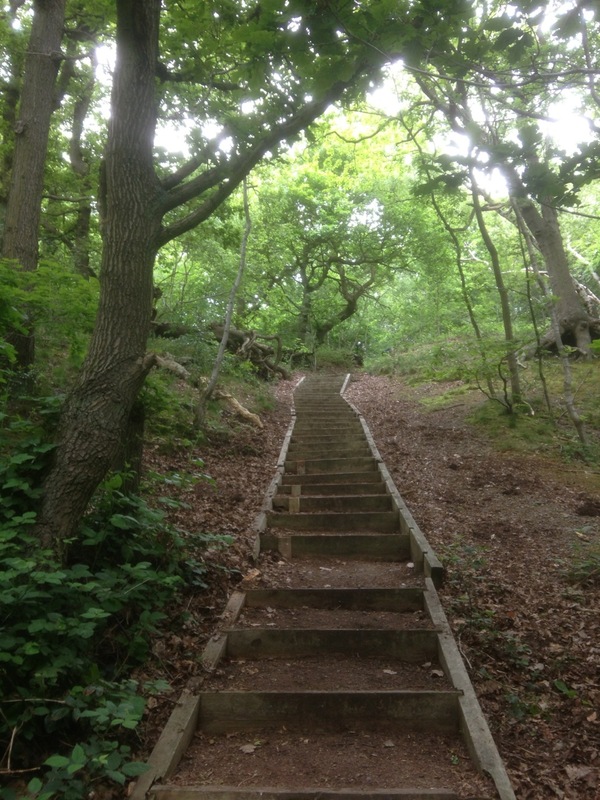 A Springtime walk exploring the wild life wonders of Croham Hurst! On Saturday 19 March 2016 Mathew Frith of the London Wildlife Trust gave a most interesting walk and talk on the above mentioned theme. This year there were not so many plants flowering because of the cold weather but he more than made up for any lack of flowering plants by informing the group about the make-up of our wood and how and why it is designated an “ancient woodland” and also how it has been managed over the years. However there were a few plants in flower, some of which were the Lesser Celandine, Dog’s Mercury and Shepherd’s Purse which is found on the heathland at the top of the Hurst. Mathew is a most knowledgeable and informative guide and if you want to know more about his work you can look at http://www.wildlondon.org.uk. On Saturday 25 April 2015 Mathew Frith gave a walk and talk on the above mentioned theme. This was a very interesting and inspiring walk – so many plants were pointed out to the group, ones which we walk past every day and mostly ignore, and we can now give names to a lot of them. Mathew was a most knowledgeable and informative guide and he made the two and half hours pass very quickly. So now when you see people peering closely at plants and trees as you walk on the Hurst, you will know that they had been on the walk. A bat walk was organised on Sunday, 17 August 2014 at 8pm. It proved to be a very interesting and informative walk and Alison Fure who led the group was an excellent guide. She was extremely knowledgeable and had spent a considerable amount of time in the wood before the walk getting to know the area and the likely places where we would be able to see and hear the bats. She provided us with bat detectors and we were able to hear the bats calling. The most common bat was the pipistrelle and below is an extract from the London Bat Group’s web page. “These tiny animals weigh about 4 to 6 grams, have a wingspan of 19 to 25cm and eat midges, mosquitoes and other small insects that they catch and eat on the wing. A single pipistrelle can eat up to 3000 midges, caddis flies, mosquitoes and other similar small insects in a night. The pipistrelle is the most common species of bat in Britain, and mostly roosts in houses under eaves and soffit boards which means that their roosts are found more often than other species. 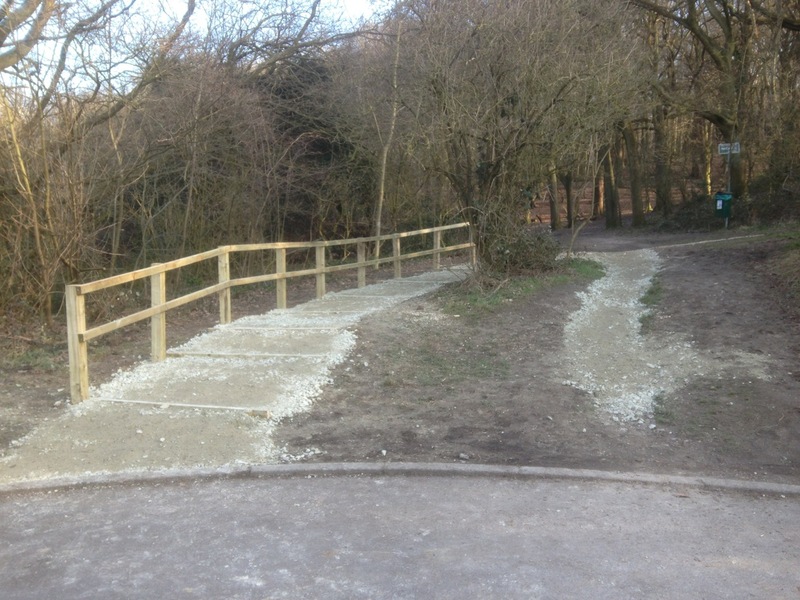 New steps have been built by the Council at Bankside. 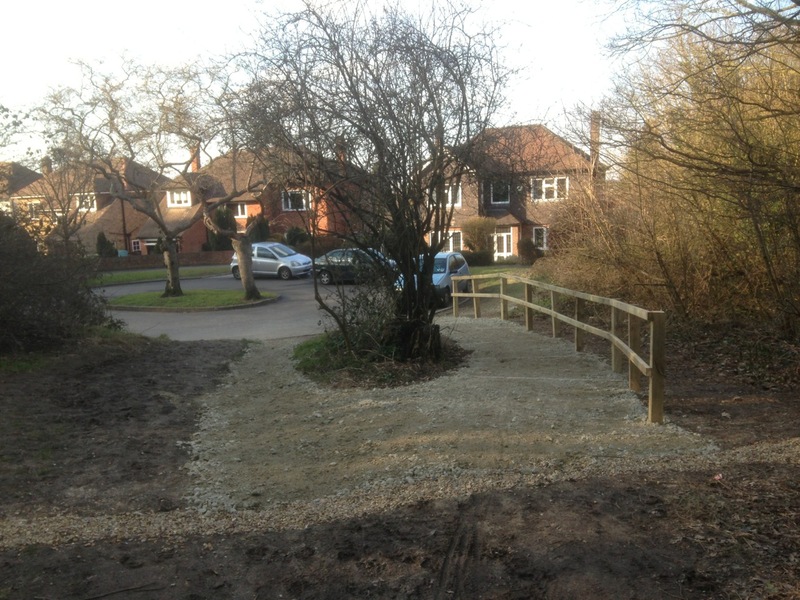 These were badly needed as the area had become very slippery after a very wet and cold winter. 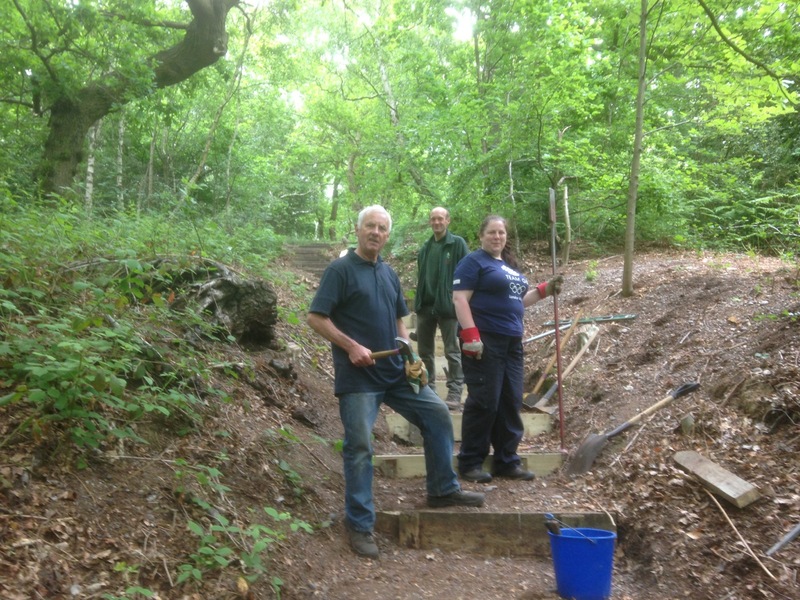 The steps climbing up to the large clearing which houses the ancient barrow have been refurbished by the Downlands Trust volunteers. 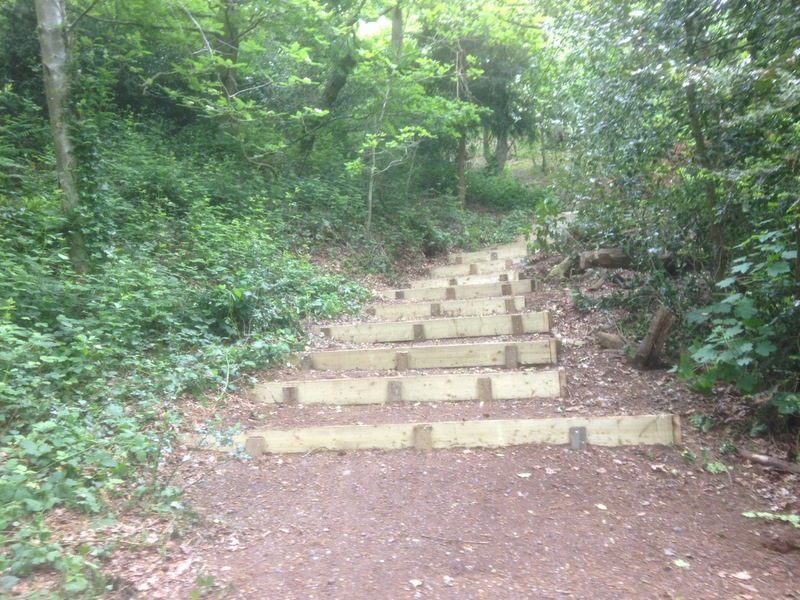 The Downlands Trust installed the original steps back in 1995 and it is a tribute to their work that they have lasted so long. They have been back to the site and replaced ones that have deteriorated and installed a number of new ones. We are really grateful for this work and appreciate their long association with the Hurst. 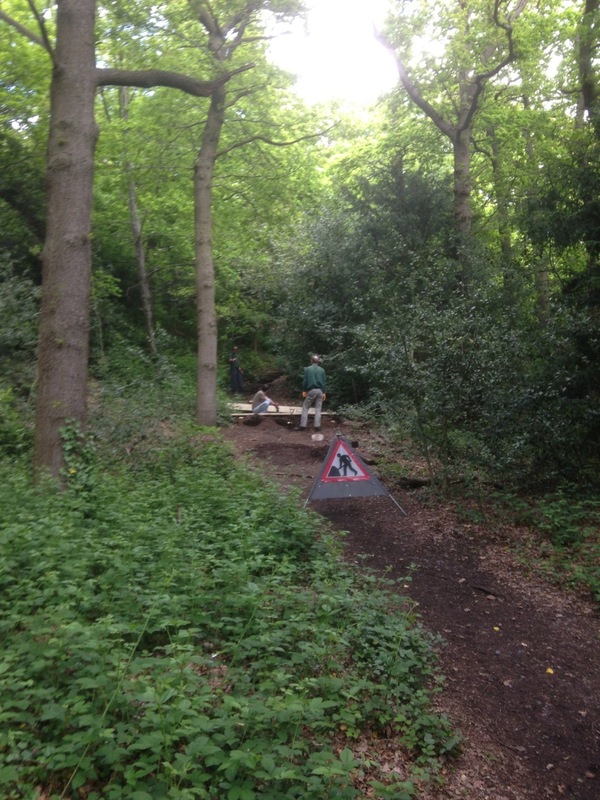 For those who remember, the Downlands Trust, along with the Friends of Croham Hurst Woods, were contributors to the creation of the meadow adjacent to the West Hill entrance.